Maximum tire size: 35" x 12.5"
ReadyLIFT SST leveling kits are the fastest, safest, least expensive way to level out your truck or to make room for oversized wheels & tires. Most ReadyLIFT kits give you the clearance to add wheels and tires from 32" to 37" diameter tires on most full size trucks. Other front leveling kits can be quite costly to buy and are difficult to install, even by a professional. One of ReadyLIFT's leveling kits can be installed in less than two hours and cost 1/3 less than their competition. Adding one of these SST leveling kits will not affect your ride quality or comfort. 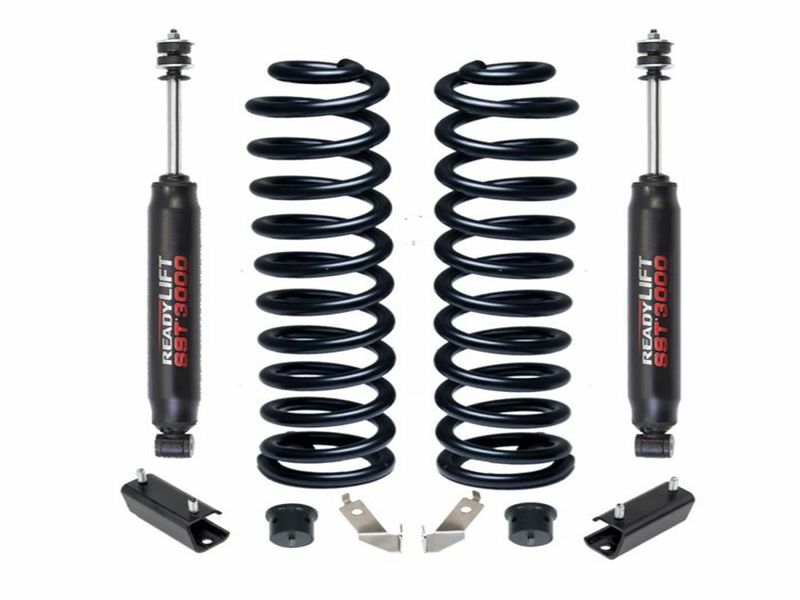 ReadyLIFT thoroughly tests each kit to ensure that your truck will be leveled without overloading or adding excessive strain to any of your factory suspension components. ReadyLIFT is the only company that forges its torsion keys to a 100 rating on the Rockwell(B) index scale, which is 25% stronger than OEM torsion keys. 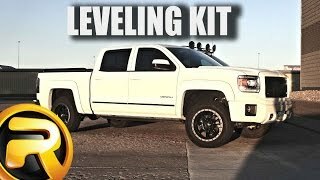 ReadyLIFT SST leveling kits are the best quality and most economical choice to level your truck. In fact, ReadyLIFT is so confident in the quality of their accessories, that they offer a lifetime warranty for as long as you own your vehicle against any defects in the materials or workmanship of these lift kits. If you want to add some bigger wheels & tires, then you are going to want to get one of these kits! ReadyLIFT offers a lifetime warranty for as long as you own your vehicle against defects in materials or workmanship for all of their products. 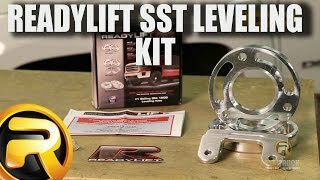 ReadyLIFT SST leveling kits are not extremely difficult to install but to ensure proper installation, we do recommend having your leveling kit professionally installed. If you have any questions or would like any additional information, please feel free to contact one of our customer service representatives any day of the week.